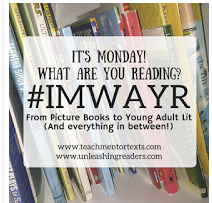 I almost didn't make the time to post today, but The Stranded Whale by Jane Yolen and illustrated by Melanie Cataldo is too special of a book to not give it a shout-out on #IMWAYR. A picture book, this one deals with some sophisticated and emotionally charged themes and concepts that surround death. The narrator and her two brothers come across a beached whale on their way home from school, and they realize that not only are they powerless to save the whale's life, but the adults are also powerless, as well. Some things are too big for even the biggest, strongest, and most highly thought of people to save. What I really love about this book is that it's the children's understanding of basic kindness that really shines through. While adults "rocked and pushed the whale back and forth toward the outgoing tide" until the whale was "even more tired than the men," the young narrator talked to the whale, "telling the whale how it was beautiful and strong, how we would miss it, whatever happened next." 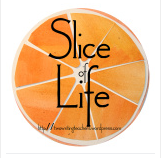 Jane Yolen always inspires me as a writer with crafts moves that establish strong emotion. 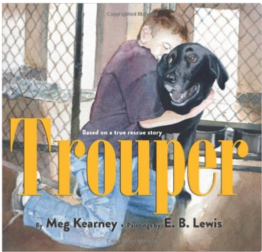 Katie Clements, a staff developer at the Teachers College Reading and Writing Project in New York, read it to a group of teachers at a workshop on Friday--I am sure that she chose this text to read because it offers so many opportunities to talk about character development, setting description, theme, craft moves, and turning points. 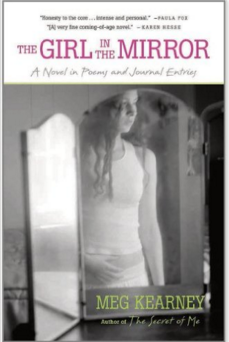 We all had specific assigned lenses to pay attention to as she read, but I found it hard to focus on my assignment. I just wanted to enjoy the story. 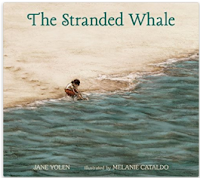 Like so many of Jane Yolen's other picture books, A Stranded Whale is full of sensory images, windows into the narrator's soul, and snippets of information that made me want to jump into the pages and hug the narrator and her brothers. 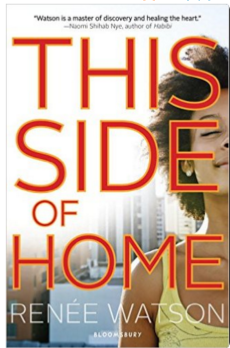 Enjoy this one, and be sure to have a box of tissues handy!